EDI translator training and integration software training is one of our most requested services. You’re probably asking, how does it all work? REMEDI utilizes a detailed curriculum that we customize based on our customer’s needs. REMEDI can provide the training on-site including side by side or over the shoulder as well as classroom style. There is also a remote, via WebEx option. The On-site training would utilize the client licensed software that is installed in the client environment, so that the technical training consultant is able to access client business systems. The trainers are able to address real-world issues that our clients face on their own systems and will provide documentation for each employee. The training typically spans 3-5 business days. If we are conducting remote sessions, we can devise a schedule that will work best for your team and we have accommodated clients with ½ day sessions based on their business needs. The cost of training is an hourly rate for the 1st two employees and then any additional employees would be a flat fee per employee. In the book, “Telling Ain’t Training”, by Harold Stolovitch and Erica Keeps they reference the importance of training to improve performance. At REMEDI, we carefully consider how to best enable your staff to learn during the training we are providing as opposed to just attending a course. They also reference the typical training workshops that either consist of too much material or too many activities and they don’t result in performance improvement. At REMEDI, we set up a Discovery Call to determine what your staff needs to know and then design a training curriculum that supports relevant training. Do you have a Winning EDI staff that’s ready to tackle 2017? With a Winning EDI team, you will have better productivity, less opportunity for errors and an EDI team that is prepared and equipped to assist your company in moving forward. 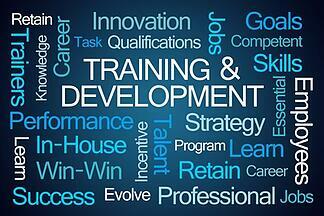 We welcome the opportunity to learn more about your specific training needs and how we can assist your team.